Amish Made in Indiana- Free Shipping! 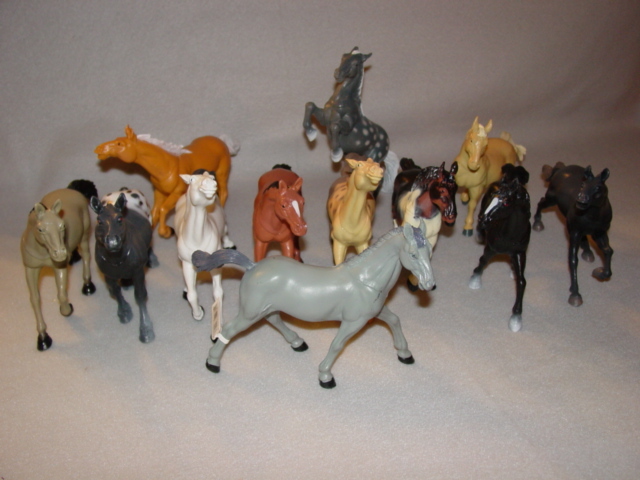 20" x 12" x 14"
This package is a little horse lover's dream come true. 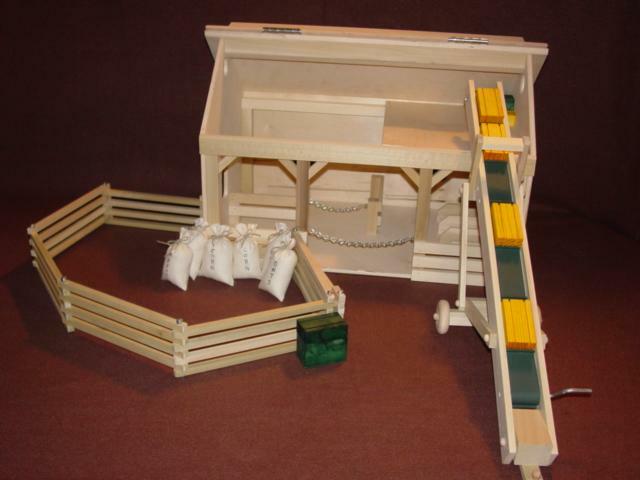 The barn, elevator and bales are crafted by an Amish toymaker in Indiana and the fence and feed bags are made in our Indiana shop. This unique wooden barn has a corral and stalls with real chain gates that open and close. The roof opens up to a spacious hay loft so the hay and straw bales can be put up for the horses. The elevator has a real crank that is adjustable to the size of the barn and cranks easily for little hands. The barn and elevator have no stains or finishes on them. This package comes with 6 grain bags and 5 hay bales and 5 straw bales (bales are no longer grooved). The bales are painted with non-toxic paint. The fence folds out to 59" long. Choose from the drop box below for horses. *Horses and farm animals only imported items on this site.